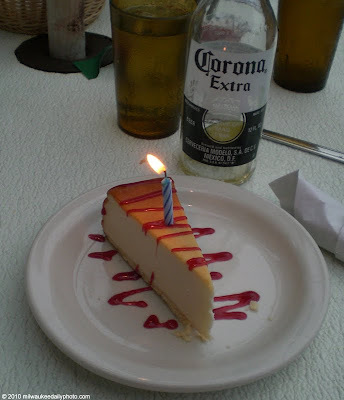 Tonight, we went to La Fuente restaurant for dinner with some friends to celebrate a couple birthdays. In addition to the human celebrants, Milwaukee Daily Photo marked the passing of another year today - we're two now! To all the regulars, thanks for visiting. If you're new, stick around for a while! CONGRATULATIONS!! Keep up the good work!